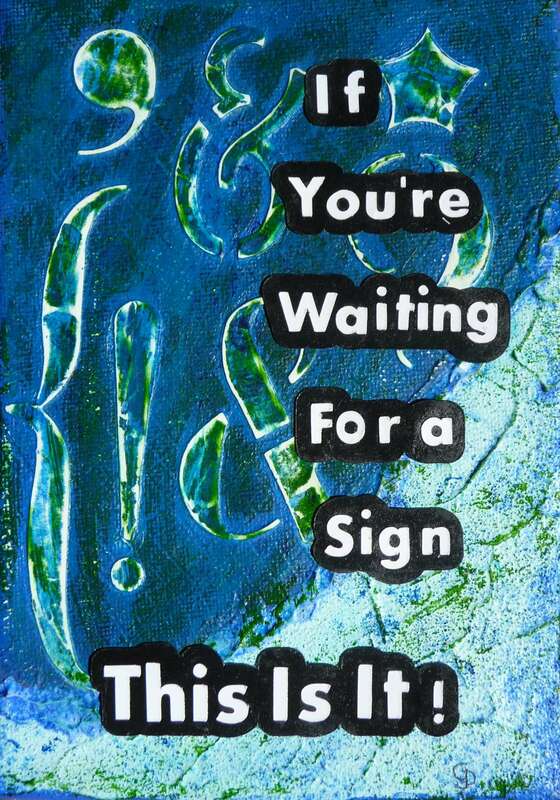 Original 5″ x 7″ mixed media painting on canvas with inspirational words “If you’re waiting for a sign. This is it!”. Created with acrylic paint and mediums and cut cardstock. Main colour is blue. 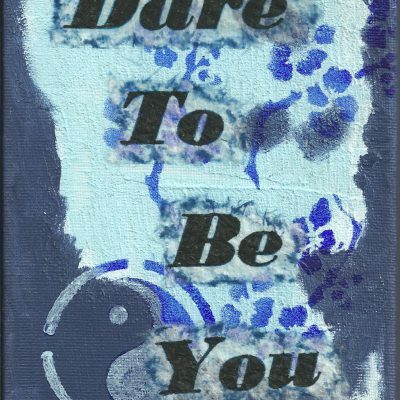 SKU: 034-5x7-I-WFS-B Category: Quotes Pictures Tags: blue, silhouette cameo, 5" x 7" canvas, if you're waiting for a sign. This is it! 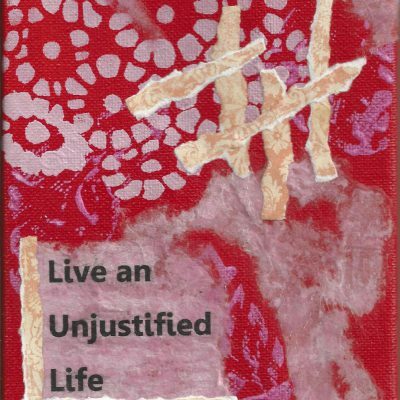 Created using acrylic paints and mediums, cut cardstock and handmade and upcycled embellishments. 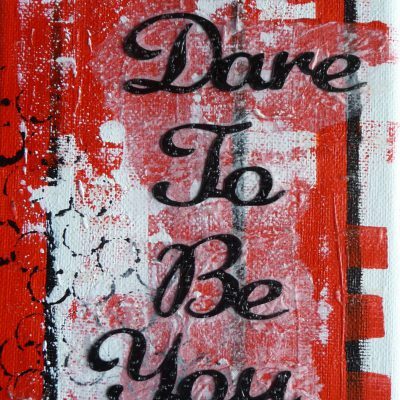 Please note: The actual colours in your painting may look slightly different from those you see here. This is due to differences in computer screen settings.